Every day is a Holiday! So, let’s Celebrate!! As a festival host, it’s a creative challenge to host annual celebrations — to set it apart from previous years and competing events, yet still maintain traditions. 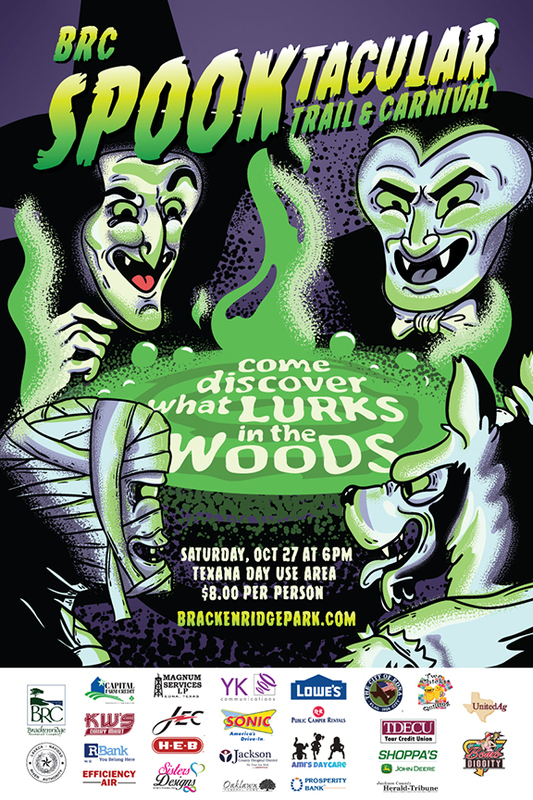 Brackenridge’s Spooktacular is bursting with a full array of Halloween fun, and caring about their local pride, they’ve also added site-specific merriment, like Best Decorated Campsite & Cabin contest. 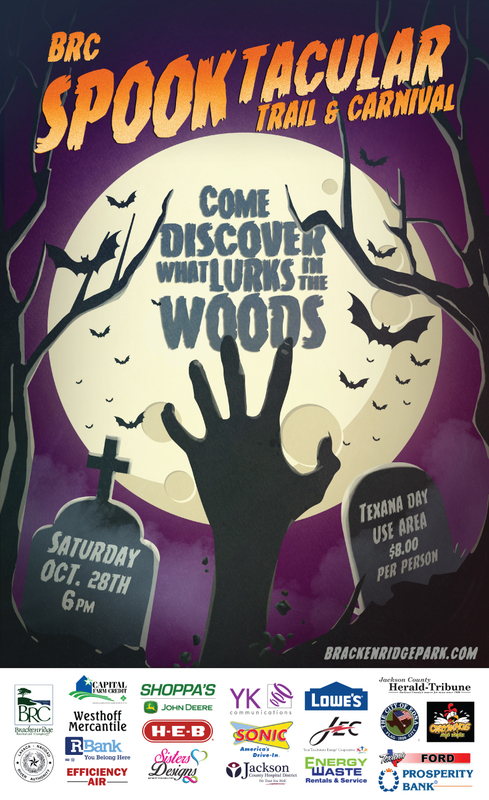 And so, when we were considering imagery for their annual Halloween poster, we likewise wanted to create something with distinction and made especially for Brackenridge. With our “Come Discover What Lurks in the Woods” poster, we took a trip into our imagination to sketch out Halloween concepts, and honed in on this scene of spooky-but-playful characters gleefully gathered around a cauldron. Having artists on our staff means we can create artwork that in concert with our clients, rather than relying on stock imagery. As a festival for families, it was important to present something eye-catching to all ages, and with its vintage feel, we also offered up a bit of nostalgia for the adults too. Having collaborated with the good folks at Brackenridge for about two years, we celebrate with their community multiple times a year, including conjuring up marketing visuals for their Snow Days and Independence Day too. Whatever events you’re planning, we can help you with your celebration graphics! Contact us at Graphismo, and let’s start the conversation about your upcoming occasion! Speaking of holidays, IF YOU HEAR FROM US LIKE THIS ON OCTOBER 22ND, DON’T WORRY; IT’S JUST CAPS LOCK DAY (yes, there really is a holiday for everything…and why not? ).